The Yubico-pam module needs access to Yubico servers for authentication. Yubico accepts authentication-requests only when the authentication data is provided with an valid ID and API key. These two can be obtained on a Yubico website for API Key requests. 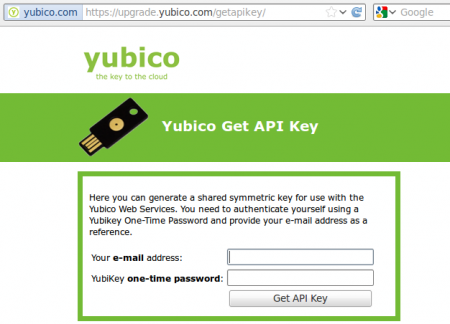 The URL to get the API key is https://upgrade.yubico.com/getapikey. The installation if the Yubico-pam module can be done by downloading and compiling the sourcecode from github. This requires a view dependencies. 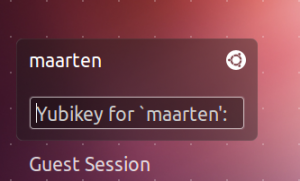 Ubuntu users can also add a repository to use the ready-to-use packages. This avoids compiling and dependency problems. I use Ubuntu 12.04 at the moment and will only handle the addition of the repository and installing the Ubuntu packages. Users of other distributions can download the source code and read the manuals on the Yubico-pam code page. First step is to add the Yubico-pam repository to your list of repositories. Add these by using the ‘add-apt-repository’ command below. You have to press enter to confirm the repository-change. A single PPA for all (?) my Yubico/YubiKey/YubiHSM related PPAs. Finally, install the ‘libpam-yubico’ package and it’s dependencies. Confirm to continue the installation. Need to get 0 B/111 kB of archives. Selecting previously unselected package libykclient3. Selecting previously unselected package libyubikey0. Selecting previously unselected package libykpers-1-1. Selecting previously unselected package libpam-yubico. Now the software is installed. Next step is to configure and enable the software. When the module is configured using the default settings you are required to use the Yubikey for authentication. When you mis-configured the system you have the risk that authentication will fail and you will be locked out your system. Although this can be repaired using a live-cd to repair the PAM files I advise you to have a root-shell open while you test your configuration in another window. If authentication fails, you can repair it from the existing root-shell. Enter the command below to configure the Yubico-pam module. Insert the client ID and API-Key. These have been previously received using https://upgrade.yubico.com/getapikey/. Press ‘Ok’ to continue. Note: The API-key is base64 encoded. When it contains a slash ‘/’ it crashes the configuration process. Workaround is to configure PAM manually, or request a new API-Key which doesn’t contain the slash. 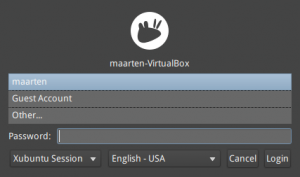 Manual configuration is explained in the documentation which is included in the package. Enable ‘Yubico authentication with Yubikey’ and select ‘OK’ to continue. The configuration will now be active. The configuration is now finished, you are ready to test it all! The Yubico-pam module integration is good. Ubuntu, Xubuntu, sudo and SSH all acceptes the Yubikey. Most of the applications request the yubico OTP first. Exception is SSH which requires the user-password directly followed up with the Yubikey OTP code, all on the same line. 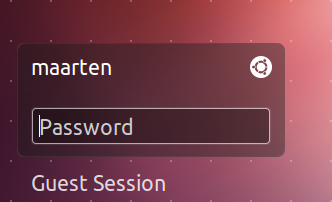 Xubuntu has another look, but authentication is the same. The graphical sudo functions also accepts the Yubikey authentication. sudo command in a terminal asks twice for authentication. First, enter the Yubikey touch-button. Next, enter the password. SSH is somehow complicated. It requires two factor authentication but require both of them in the same field. Enter the user’s password first, attach the Yubikey OTP code afterwards.